It seems that Lajos Simicska, a formerly powerful oligarch, wants to concentrate on animal husbandry after he gave up his fight against Hungarian prime minister Viktor Orbán last year and sold nearly his entire business empire. 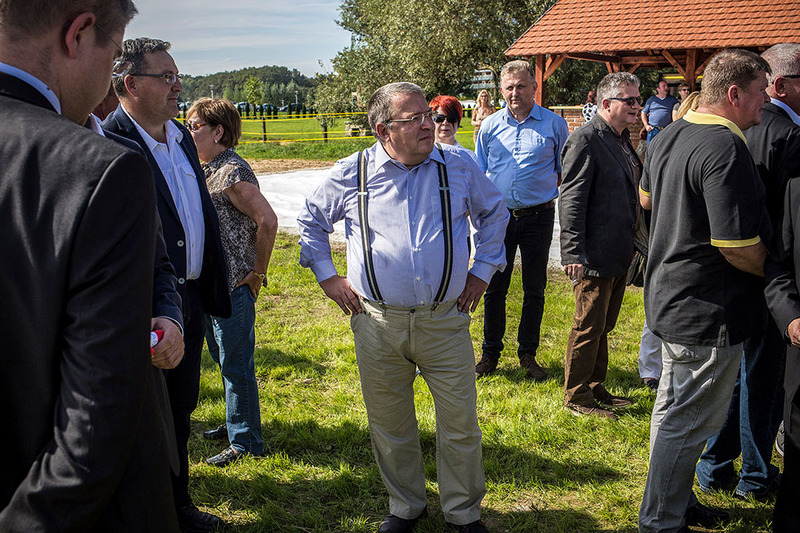 The former oligarch kept only one company, Hárskút Agricultural Company, which until recently appeared to be an insignificant small business with its annual revenue around tens of million forints (10 million forints are around 31 thousand euros). Now Simicska apparently has long-term plans with the company. According to official records, he and his wife, who owns 50 percent of the shares, injected one-and-a-half billion forints (4.7 million euros) of capital into the company. It is not clear from the records what Simicska’s plan is with the investment and the former oligarch could not have been reached for comment. According to company records, the main activity of the company is “sheep and goat farming”. As its name implies, the company operates in Hárskút, a village near Veszprém, a major city in Western Hungary. The company has a guest house and a farm there. During a visit last November, Direkt36’s reporters saw that the construction of a new horse-riding facility was in progress. According to a sign, the construction was commissioned by Simicska’s company. Simicska and Orbán were friends and allies for decades. Together they turned Fidesz, now the governing party, into Hungary’s dominant political force. Orbán led the charge on the frontline of politics, while Simicska worked behind the scenes to provide a solid financial background for the party. Their alliance ended in 2014 over apparent power struggles, turning Simicska into one of Orbán’s most formidable enemies. In the end, Simicska survived the conflict without any physical harm, but he was forced to accept defeat. Days after the 2018 April parliamentary elections, which resulted in yet another landslide victory for Orbán’s party, Simicska shut down two of its news outlets. Not much later, he sold all his business interests. Ownership of his vast business empire was transferred to individuals close to Orbán. Simicska’s capitulation surprised many, but as a recent Direkt36 story has revealed his decision was rooted in events that took place long before the elections. Even when their alliance broke apart in 2014, Simicska went to great lengths to avoid the showdown with the prime minister. He tried to sell his business empire to Orbán, saying that he wanted to quit the business, but Orbán turned down his offer. Simicska then went on the offensive against his former friend, but now it is clear now that his campaign lacked a deliberate strategy. According to people close to him, he gradually lost faith in defeating Orbán. At least six months before the parliamentary elections, Simicska realized that Jobbik, the opposition right-wing party he threw his support behind, had no chance of winning the elections. Meanwhile, he had also come under intense personal pressure. In addition to the radiation warning, he told aides that he had also received threats that his children would be implicated in criminal activities.